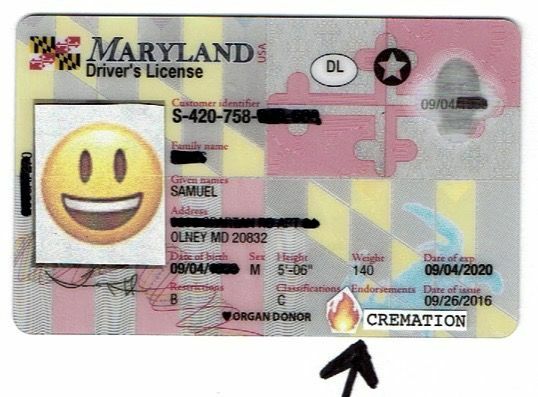 Samuel requests Delegate Vogt for the appropriate action, within the legislative branch, for the goal of including a "Cremation Option" on Driver's Licenses issued by the MVA in the State of Maryland, as indicated in the sample pictured below. This option will pertain to the decision of the driver to have his remains cremated in the case that he or she endures an accident leading to fatality. The indication of this information on the Driver's License would be a practical way to assure and facilitate the desire of each citizen in relation to his or her right. The option would be indicated by adding a small flame to the existing Organ Donor option on the license. 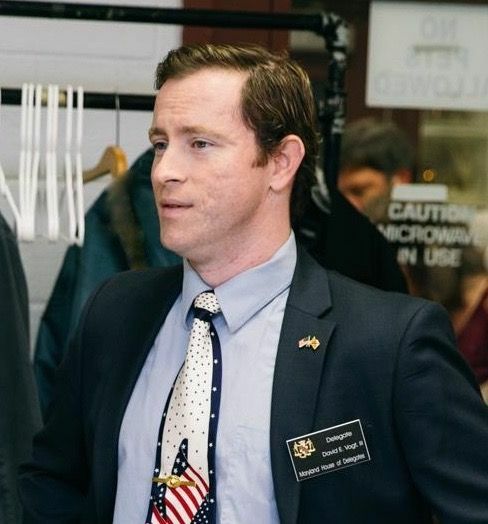 Ensuring the application of this suggestion would be, above all, be a gesture of respect to our environment, on behalf of the State of Maryland and its citizens. The choice of cremation would save the environment from traditional burials, that pose a wide variety of obstructive and unnecessary services and products. The expensive processes of embalming, tombstones, lacquered caskets, and heavily manicured grave sites are known to pose risks to the water table and eco-system. Help those who wish to clearly indicate this right so that we can maintain a cleaner environment.